You can find plenty of M&P40C holsters, but finding an S&W M&P40C M2.0 holster isn't going to be as easy. After all, the refresh of the model means that it will take longer for a lot of holster makers to catch up. 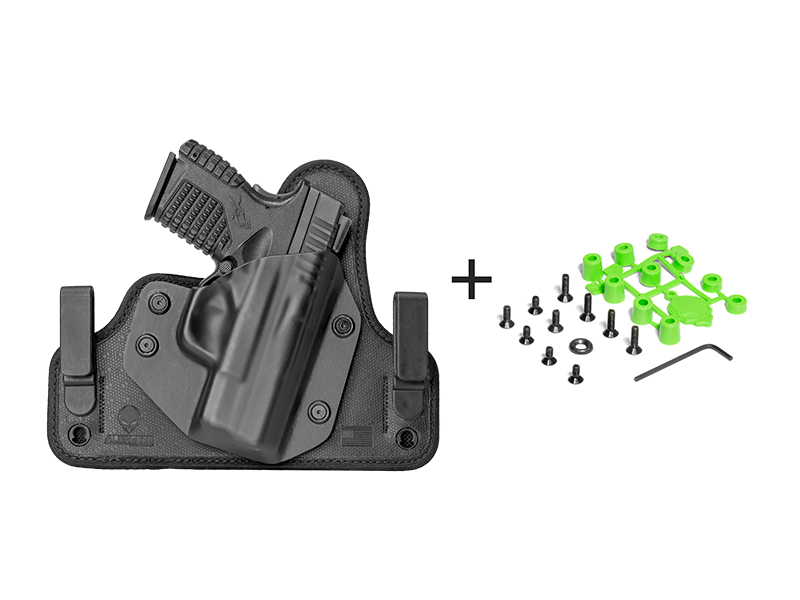 Alien Gear, however, is pleased to be among the first to offer an M&P40C 2.0 gun holster for concealed and open carry. Thanks to the relationships we have cultivated within the firearms industry, we are able to offer a holster for this model of firearm ahead of other makers. 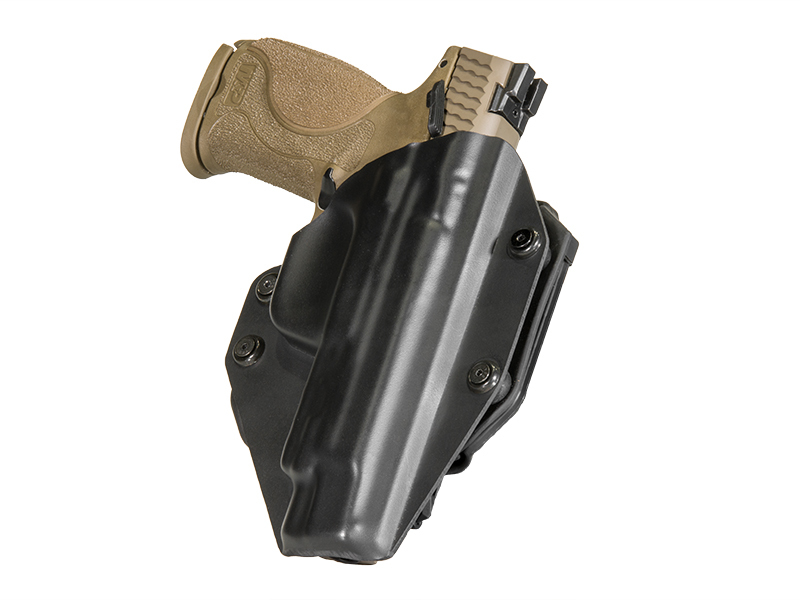 What can you expect from an M&P40 Compact 2.0 concealed carry holster by Alien Gear? 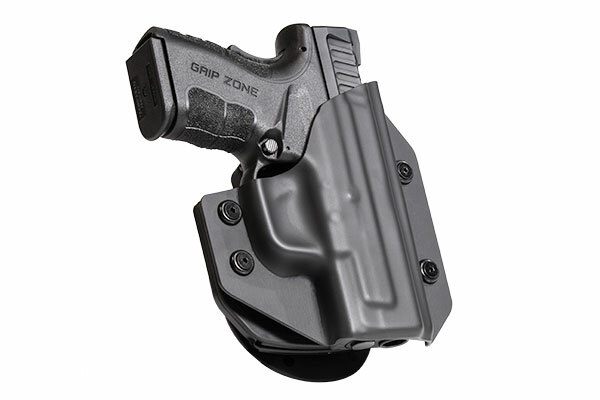 The same features that have made us one of the leading holster manufacturers in America. Expect that the shell will fit your pistol perfectly right out of the packaging. 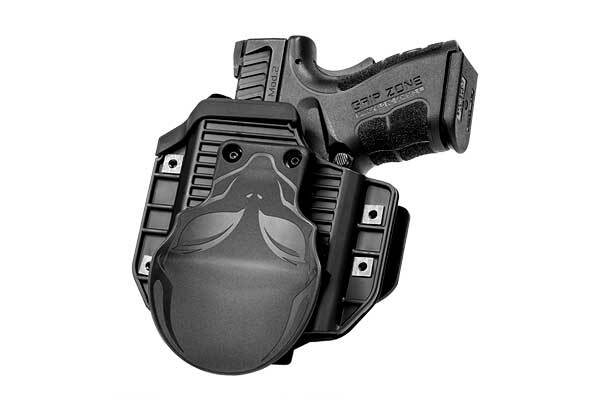 Our holster shells are custom-molded to the M&P40C M2.0. As a result, you'll never have to worry about the fit as the retention shell will hold every nook and cranny of the slide as it should. 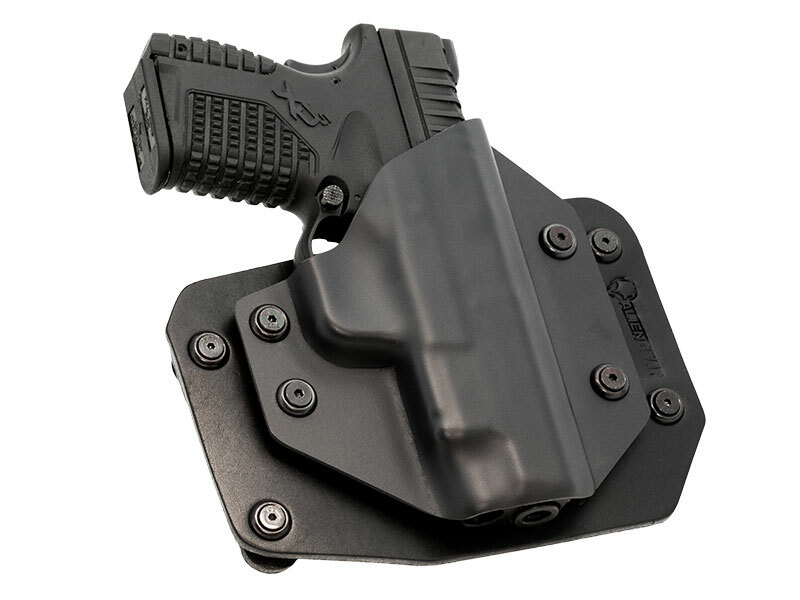 You can also expect the passive retention to be not only adjustable, but customizable - not many holster designs allow for adjustment of passive retention. Comfortable carry and easy concealment are hallmarks of Alien Gear designs, and our line of M&P40C 2.0 holsters is no exception. As our shells are universal - they are installed on every holster we make - it's up to you to choose the backing platform. For easy, comfortable concealment, you have your choice of M&P40C M2.0 IWB holsters from the Cloak Tuck line. You can choose either plush leather in the original Cloak Tuck - black or tan; your choice - or the ultra-modern Cloak Tuck 3.0, a multi-layer holster design that's been engineered for incredible comfort and durability. For those who prefer open carry, whether daily or on occasion, OWB holsters for this pistol are available as well, such as the Cloak Slide leather hybrid belt-slide holster or the Cloak Mod S&W M&P40C 2.0 paddle holster. 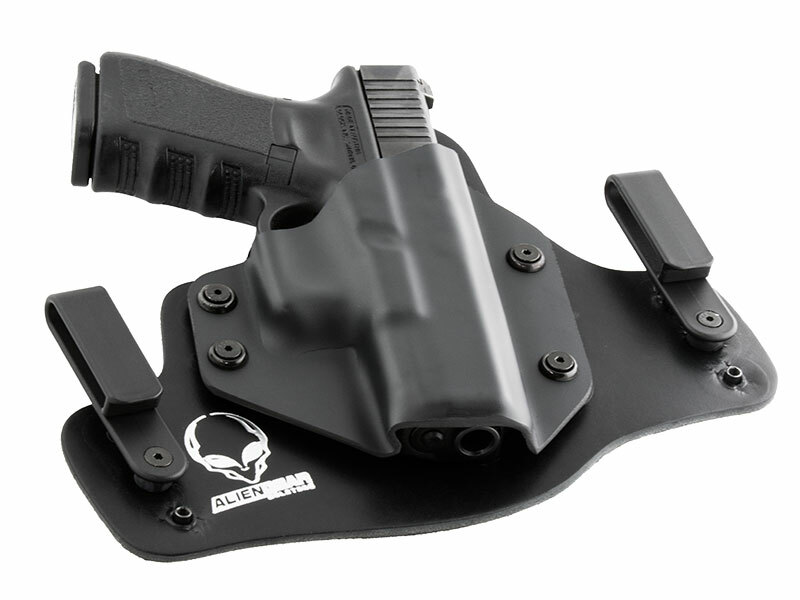 Regardless of the model of holster you choose, it comes with Alien Gear's IRon-Clad Guarantee. This includes a 30-day moneyback trial period - you can return the holster for a full refund in the first month of ownership - and a lifetime of retention shell trades, in case you trade in your gun for a new model but want to keep using your holster. 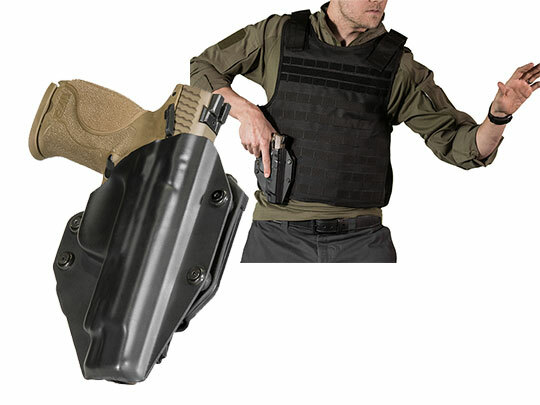 Your holster also comes with a full and comprehensive lifetime warranty. Anything less would be alien to us.